Looking for the best local auto repair shop near San Dimas? You have come to the right place. We happily service many customers living in San Dimas from our shop located in Covina. We provide expert auto repair for both foreign and domestic vehicles. Our complete automotive repair and maintenance apply to hybrid vehicles, diesel vehicles, passenger cars, SUV’s, 4/All Wheel Drive cars and trucks, light and medium duty trucks, and work trucks and vans that are up to 1 ton. If you choose to wait for your vehicle while it is being serviced, we have a comfortable waiting room equipped with comfy chairs, WIFI, magazines, coffee, and more. 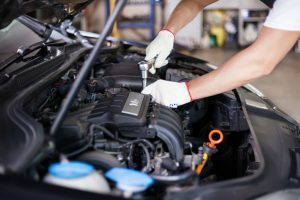 Give Johnny’s Auto Service a call today or schedule online through our online request appointment portal for an amazing auto repair shop near San Dimas.